PROTEEs are a classic shaped 2.75" (70mm) long plastic golf tee available in 6 brilliant metallic finishes. They are engineered and manufactured in the United States with the ultimate combination of eco-friendly technology: durability, recycled materials, biodegradability and recyclability. They are perfect for gifts and events and stand out in a crowd of plastic and painted tees. 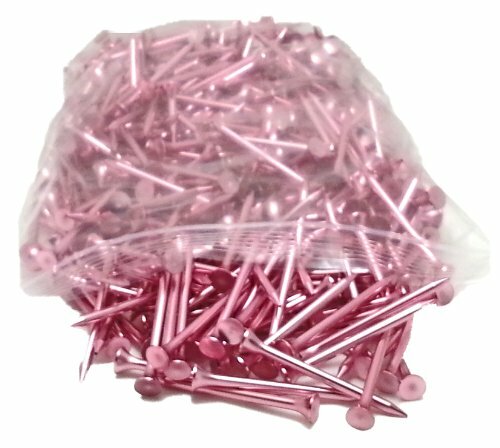 The Nano-thin metallic coating was designed for toys and is biodegradable, water-soluble and FDA Code 21 Part 175 food contact compatible. Substitute PROTEEs in place of toothpicks for sandwiches, appetizers and cocktail fruit at your 19th hole. PROTEEs look like polished metal but are flexible plastic with a flexible metallic coating that will not mark clubs or hurt mowing equipment. Most recreational golfers report minimal to no breakage during a round of golf. The plastic is stiffer than most plastic tees making them more user-friendly in hard dirt. The Teflon-like coating and precision formed cup also enhance performance.